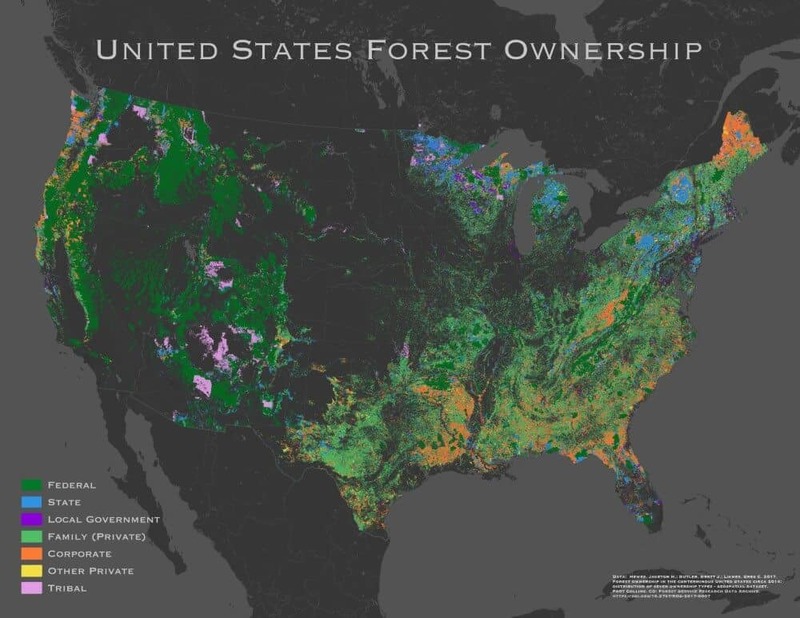 While forest ownership in the US is complex, a few patterns do emerge. Most cooperate owned forests (mostly for lumber) tend to be near the coasts or other major waterways as it reduces extraction costs. Private forest ownership is more common in the Eastern and Southern United States compared to the West where Federal ownership of forests is more the norm. Finally, you can clearly see the large tribal ownership in the Southwest US.